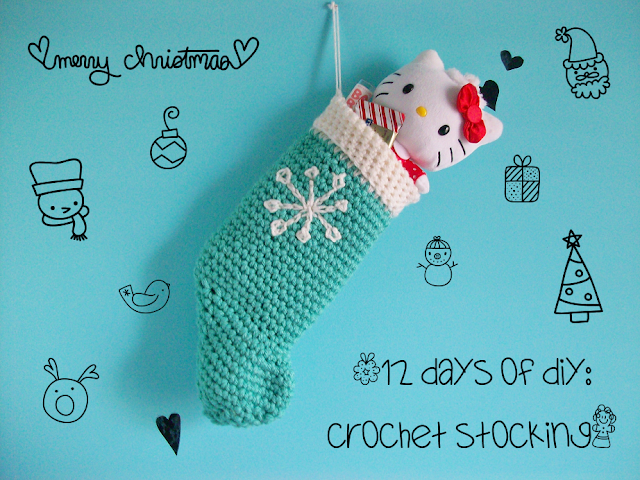 It's the third DIY post of the 12 days of DIY! Today I have another cute DIY for you guys today. It's a crochet pattern to make a stocking! 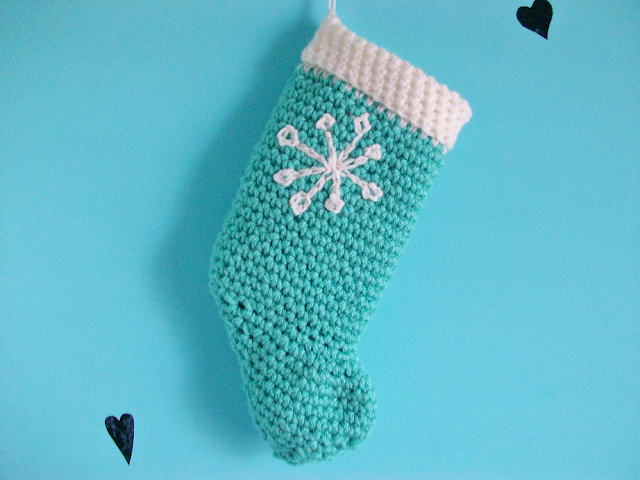 Sorry again to all of you who cannot crochet but don't worry I have some non-crochet DIY's coming soon! 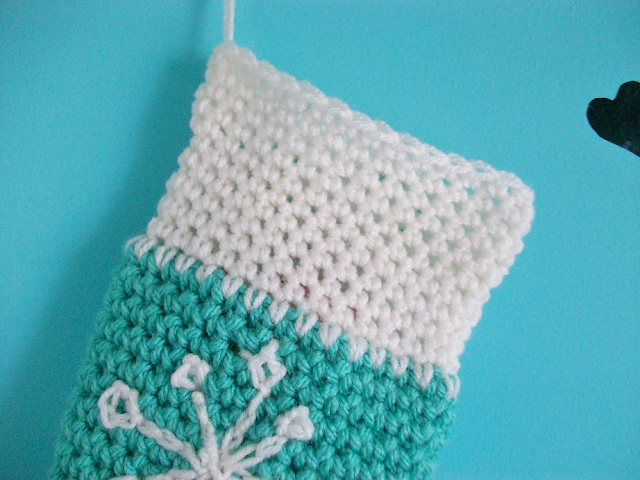 For those of you who can crochet I hope you enjoy this pattern! - Ch 30, sl st with 1st ch to form a circle, ch. *If the pattern doesn't seem right please let me know! I wrote this down as I was crocheting it so the pattern may not be 100% right. Fold down the white part and you can either leave it folded or sew it down or leave it up, it's all up to you! This step is optional but I think it adds a festive touch! 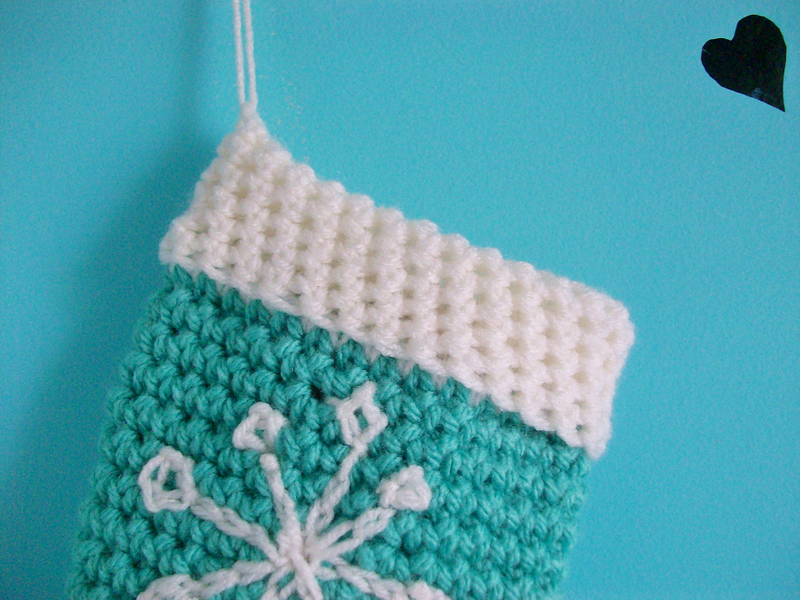 To make the snowflake I just surface crocheted like I did in the previous DIY. 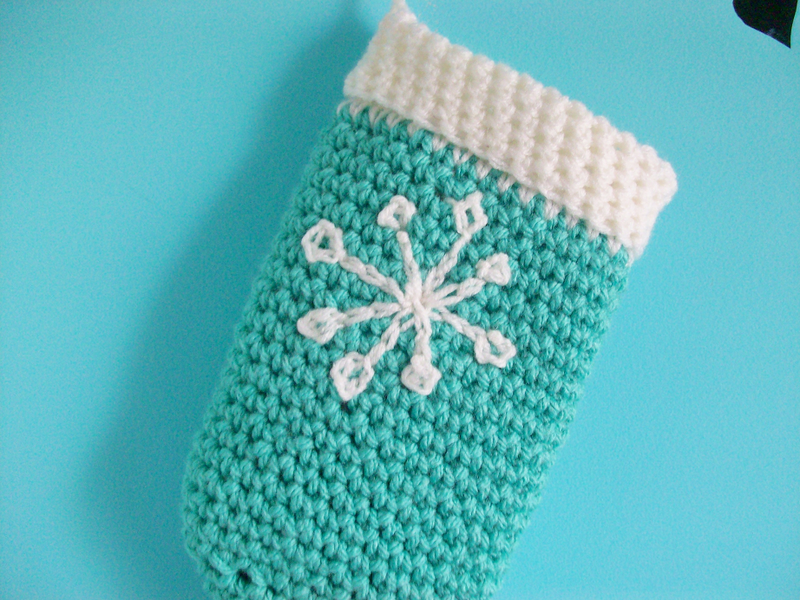 It was kind of tricky and it didn't come out perfect but no snowflake is perfect. I made this crochet stocking as a Christmas home decoration but if you want to use this as a real stocking go ahead and try it! 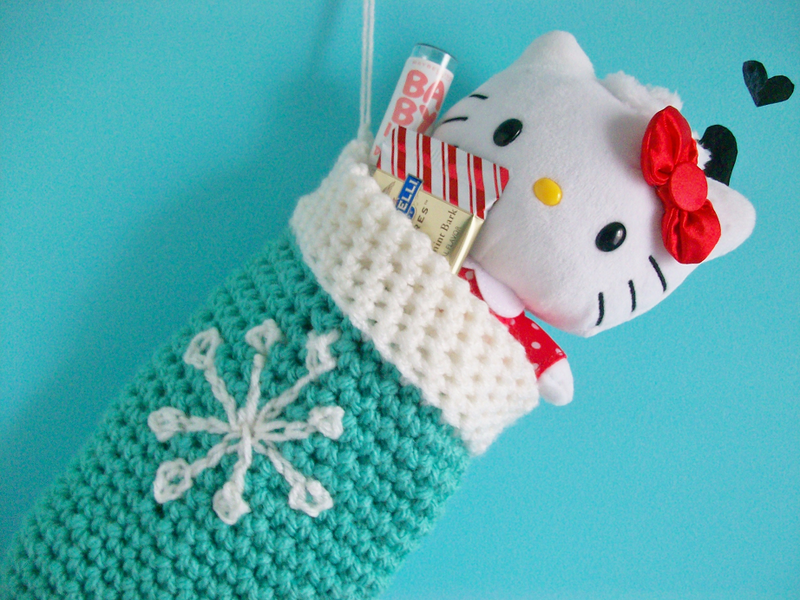 I stuffed in a few things to see if it would hold up some goodies and it did! 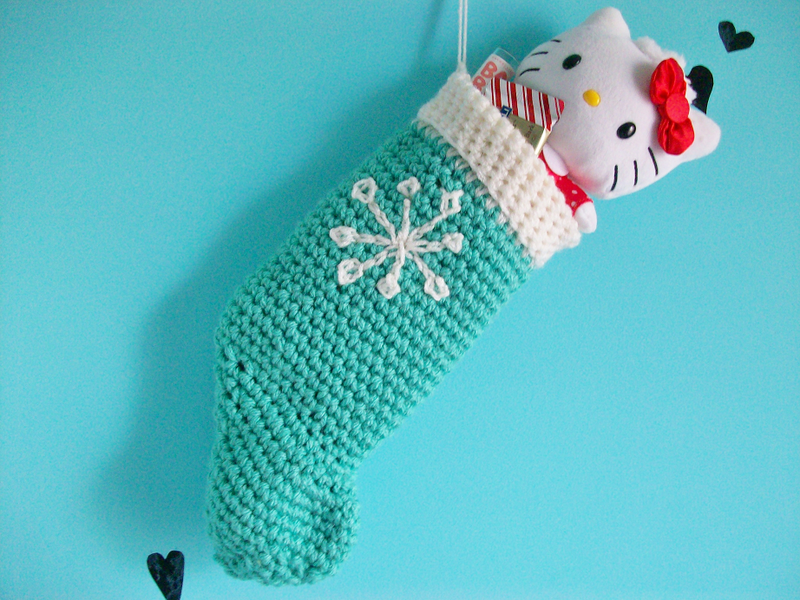 I have no crocheting talent to speak of but I love this adorable stocking! Hi, my stitch count isn't matching yours, starting on this rd: "- Dec 6 sts, sc 3, inc 6, sc 7, Total = 30 sts" 6+3=9, then 6 inc would give 12 more sc. 9+12=21. 21+7sc=28sc. Do you then leave two st undone, or did I make a mistake somewhere? Thanks.